If you've opened the flyer for Sale-a-bration on my website, you may recognise these two cards. 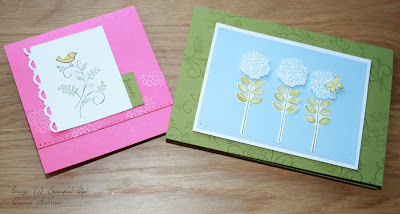 They are just such pretty cards that I could not wait to case them. If you don't have patterned paper you can improvise and use the bloom flower head in the set, and stamp it on a strip of melon mambo using the white craft ink pad. I then created a faux line of stiching using my paper piercing tool and mat pack. Still not got your own copy of this lovely stamp set? Then call me to place an order of £45 or more and you can get it for free! 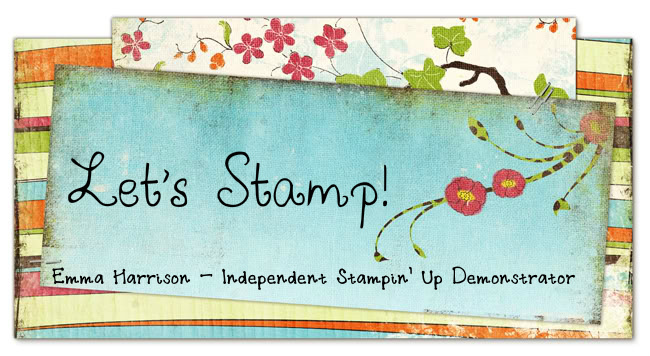 New year, new you, new stamps?